The $3 bln, Provence-inspired skincare brand may have attracted private equity interest. A costly expansion has hurt the group controlled by boss Reinold Geiger, but a clean balance sheet, prospects in China and an unglamorous share price suggest an alluring makeover candidate. A store of French skin care and perfume retailer L'Occitane en Provence is seen in Zug, Switzerland August 30, 2016. 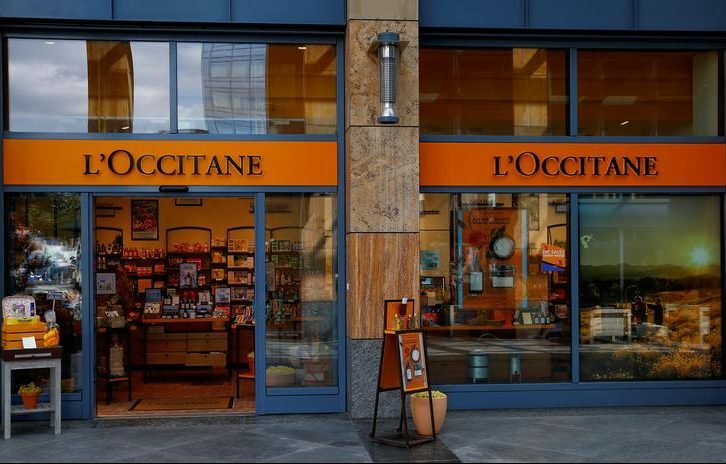 Private-equity firms including Advent International are considering bids for French beauty retailer L’Occitane, the Financial Times reported on Nov. 28, citing two people with direct knowledge of the matter. It was not clear whether a formal sales process was in place for the $2.7 billion, Hong Kong-listed group, the report said. L’Occitane, which listed in Hong Kong in 2010, makes cosmetics, perfumes and other products using natural and organic ingredients. On Nov. 26, the company reported net profit of 5.6 million euros ($6.3 million) for the six-month period ended Sept. 30, a 48 percent drop compared to the same period last year. This was partly due to higher investment in advertising and marketing events. Its shares fell 8 percent on Nov. 27, the next trading day.